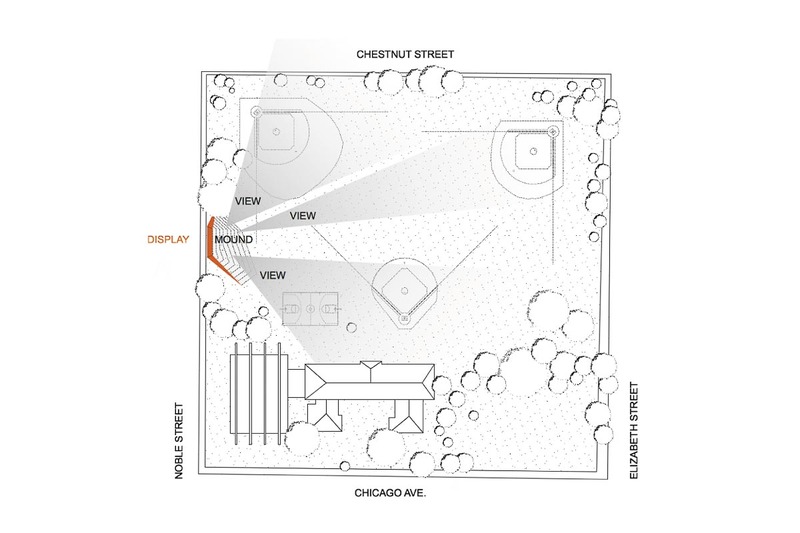 The location of the Eckhart Park public display is positioned facing Noble Street towards the West which is the most public access point to the park. 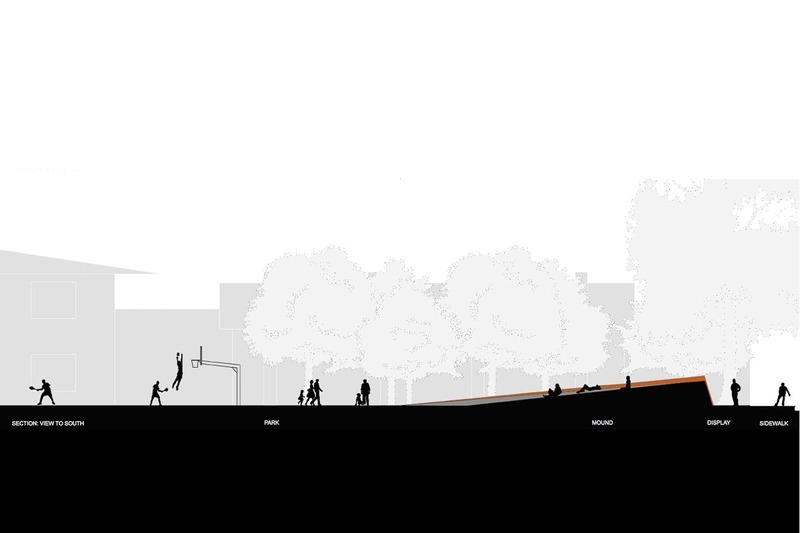 The spatial configuration of the design creates a clear transition between the sidewalk and the park plane. We propose a clear hierarchy organizing the individual levels of contributors. 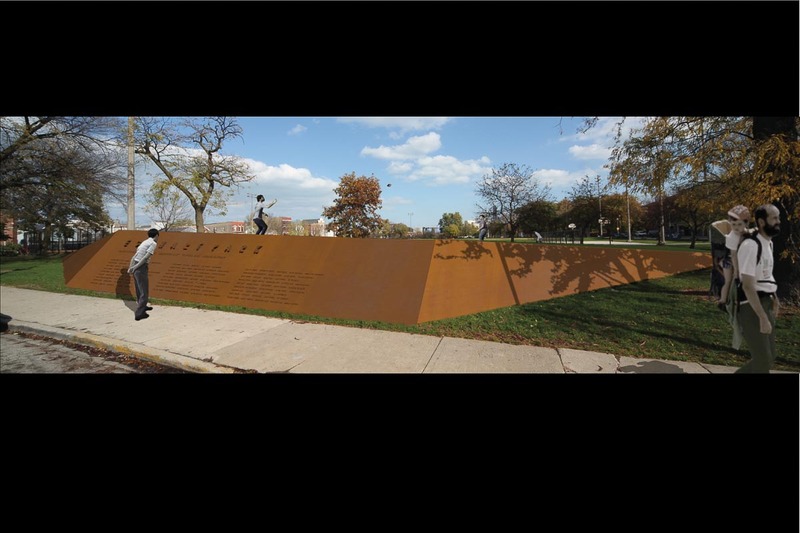 The Corten steel display is thought of as a canvas that will be able to accommodate an increasing number of names etched into its surface as individual donorship increases. 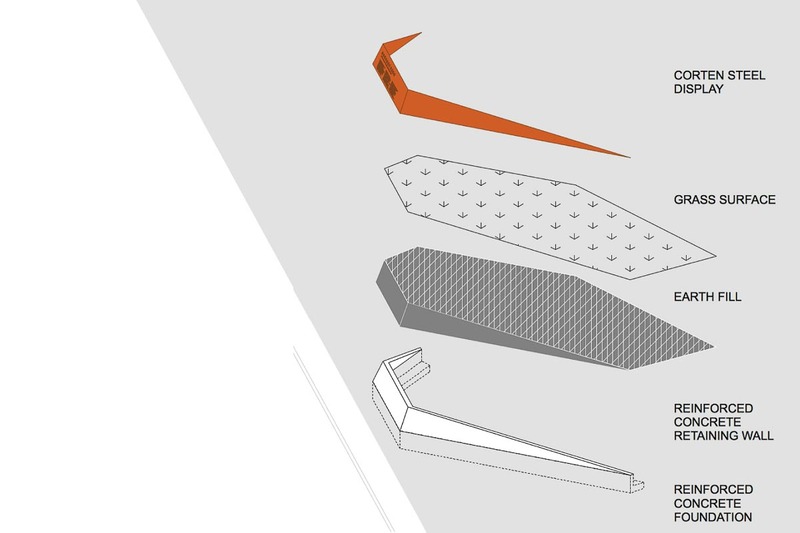 The project consists of two sustainable materials that are extremely durable. A reinforced concrete retaining wall that holds the Corten steel display. Corten steel is a material that is long lasting and weather resistant requiring minimal maintenance. Its beautiful warm color comes from a natural protective layer created through oxidization. 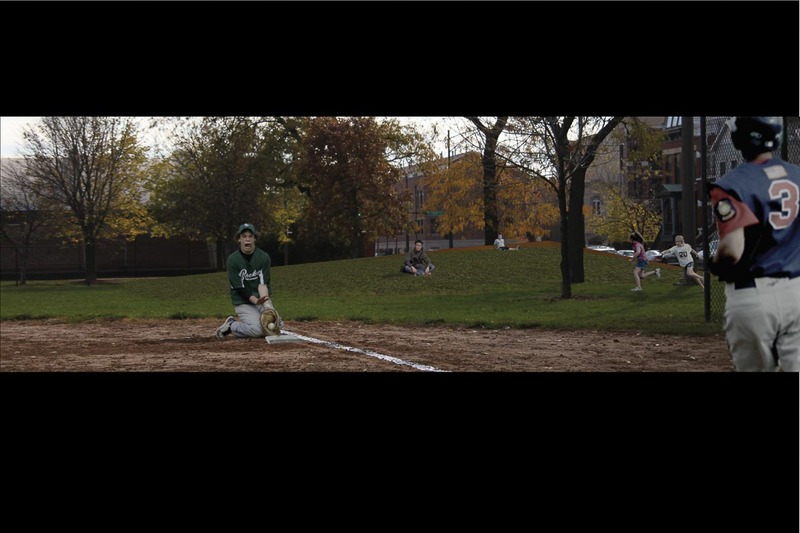 We believe that this color is harmonious with the material palette of the park and its surrounding building context such as the field house and the pool.